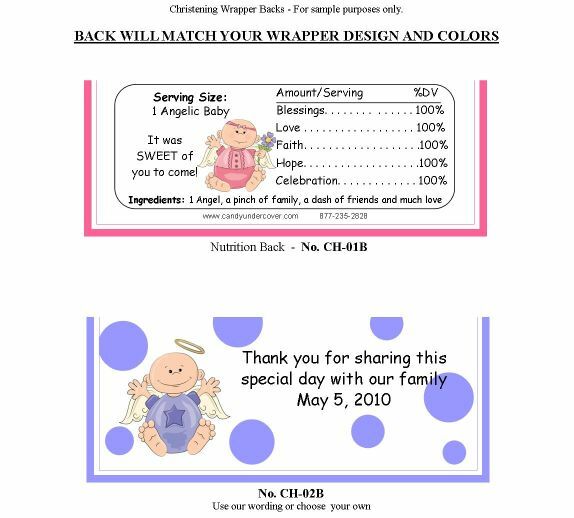 Our PRETTY PINK BABY GIRL Christening / Baptism Candy Wrappers are too sweet. The classic pink color along with pretty flowers make this wrapper fabulous! Your guests will love this awesome party favor treat. Chocolate is the ultimate favor and our candy bars will be the hit of your party!